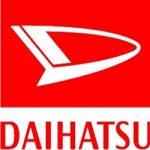 Daihatsu is one of the oldest Japanese car manufacturers. Leasing a Daihatsu means you will be driving a car which is as reliable as it is affordable. Our Daihatsu lease deals take this to a new level. And if you don’t see a Daihatsu lease offer to suit your budget, sign up for our early alerts on the newest best buys.